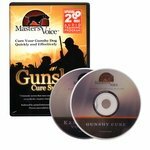 Master's Voice Noise Shy Cure Systems. 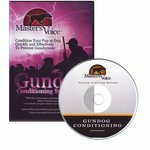 Master's Voice Canine Training Systems have successfully cured and prevented gunshyness, noiseshyness (thunder or fireworks), and calmed dogs of various ages and breeds since 1986. These unique audio training systems are based on proven behavior modification and desensitization methods long used to cure human phobias. Training takes just a few minutes a day, with results in three to six weeks.